Her Royal Highness The Crown Princess loves to read and is enthusiastic about books. She is eager to share her love of reading and spread good literature. She firmly believes that there is a book for everyone. 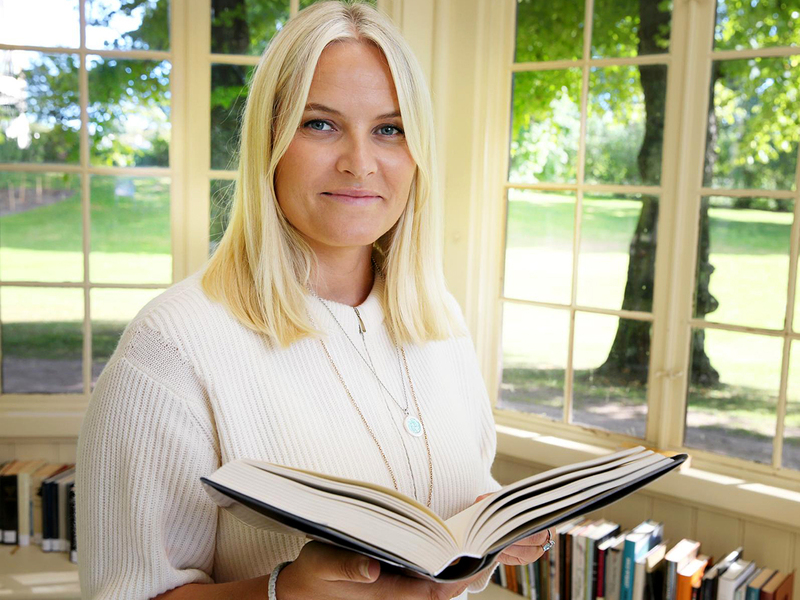 In the course of the year Crown Princess Mette-Marit takes part in a wide array of literary events. This includes reading time for children in the Palace Park or at Oscarshall Summer Palace, literary festivals or library visits. The Crown Princess also seeks to arrange meetings about Norwegian literature abroad during official visits to other countries. On 26 April 2017, the Crown Princess took on the role of ambassador for Norwegian literature in the international arena. 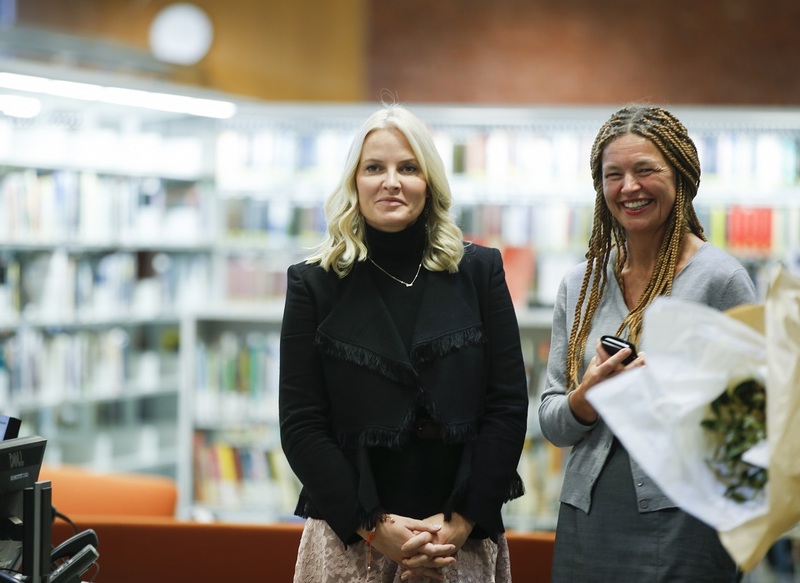 Norway has been selected as the Guest of Honour at the 2019 Frankfurt Book Fair, and the Crown Princess will participate in key events in connection with the Guest of Honour project. 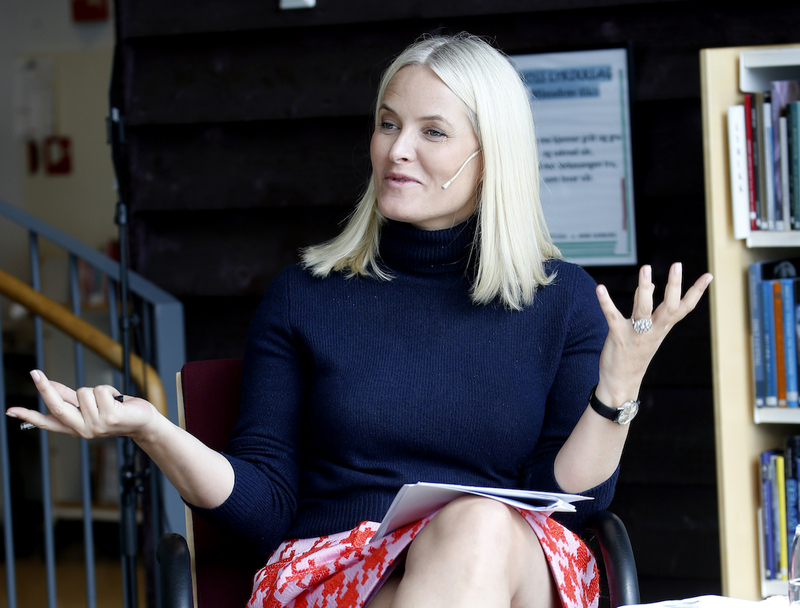 Her role in promoting Norwegian literature will have an international framework and will extend beyond the 2019 Book Fair. 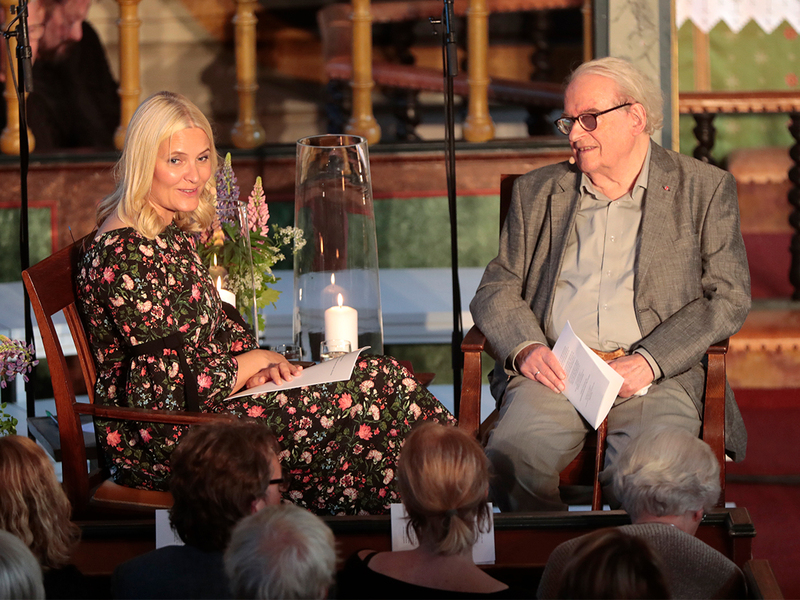 Norwegian literature is gaining in popularity abroad, and the Crown Princess will be working to further enhance its position. One of the annual events has a special place, however: The Crown Princess’ literary train tour. 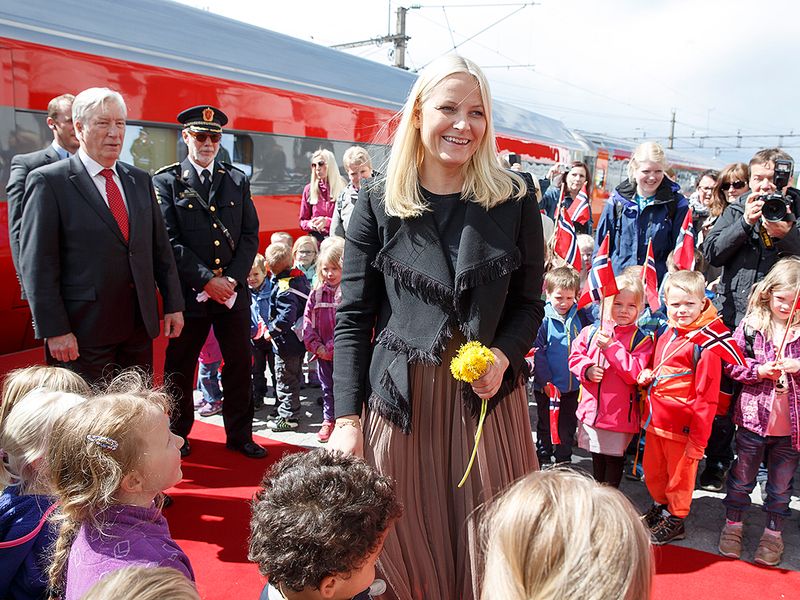 In the past few years, the Crown Princess has set out on a literary train tour each spring with the assistance of Norwegian State Railways and Oslo Public Library. The train tour does not follow a set railway schedule, and in addition to the Norwegian Royal Train Carriages, the locomotive pulls a café carriage, a passenger carriage and, not least, the library carriage. This is a specially furnished carriage containing books from the Oslo Public Library and parts of the Crown Princess’ own book collection. When the train stops at the local station, the carriage is normally open for anyone wanting a cup of coffee and a good book to read. Along the route, the Crown Princess organises literary meetings between authors and the public. The meetings are usually held at the local library, but houses of literature and train stations have also set the stage for some magical moments. The first literary train tour took place along the Nordland railway – from Bodø to Stjørdal – in 2014. 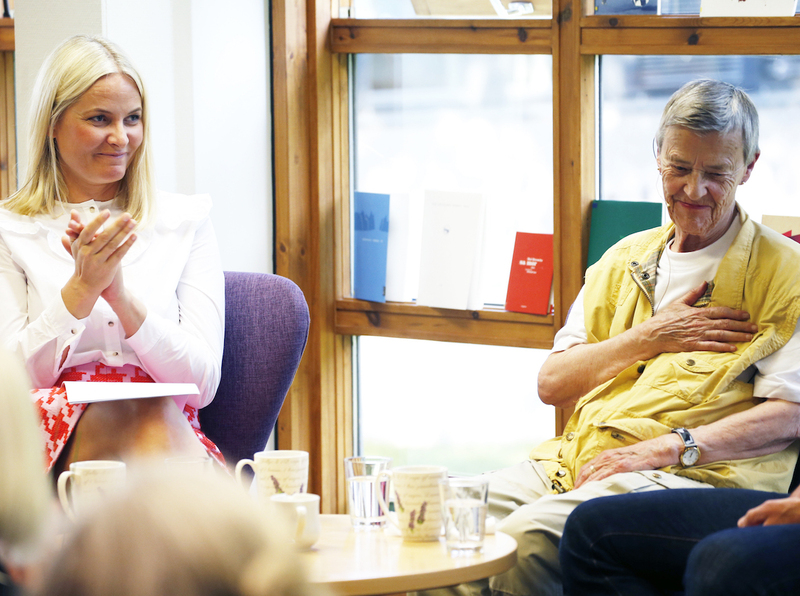 This was a personal book tour for the Crown Princess, who shared many of her own favourites and talked about her own reading experiences along the way. This first literary train tour encompassed many different themes: There was children’s literature in Fauske and literature for adolescents in Rognan. Love in literature – perhaps the most popular theme of all – was the focus when the literary train tour reached Mo I Rana. 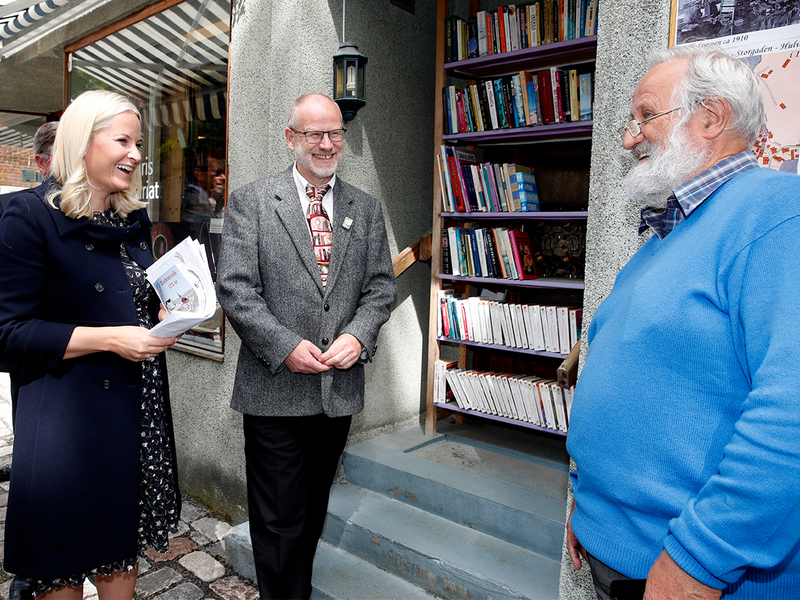 In Mosjøen the focus was on Sami literature, and Crown Princess Mette-Marit highlighted Nils Aslak Valkeapää, who has meant a great deal to her. In Snåsa the theme was taboos, while literary favourites were shared in Steinkjer. Stjørdal was the final station this time, with Shakespeare as the theme. In 2015, the train travelled from Trondheim to Hamar, making stops in Oppdal, Ringebu and Lillehammer. 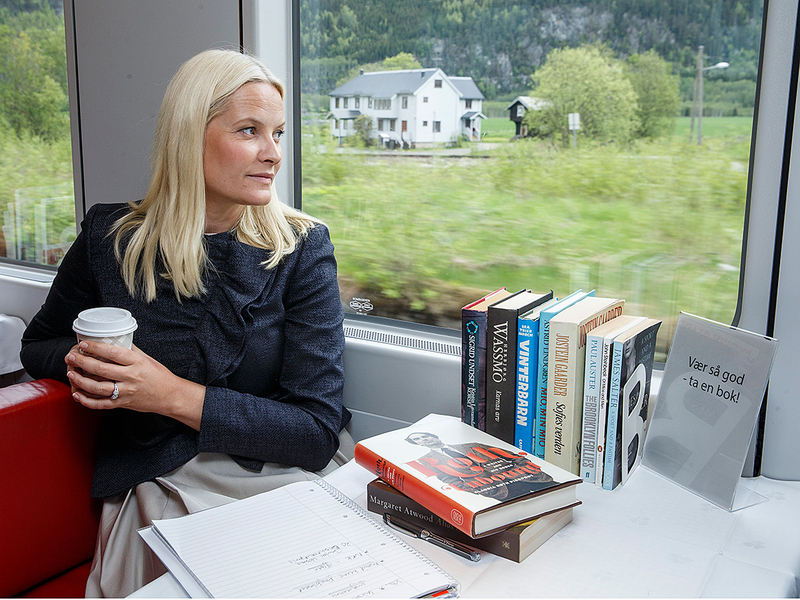 During the first literary train tour, the Crown Princess shared her own reading experiences. The second time around, the authors themselves contributed their voices, taking part in conversations both as readers and as creators of literature. The theme was identity, a common theme in Norwegian literature in recent years. When they read, people come closer to their own lives – and to the lives of others. During the tour, this theme was explored from different perspectives: the use of autobiographical information in literature, how books affect us as readers, literature and its roots, and how authors present their characters – and our own presentations of ourselves in social media. The literary train tour arrived in Lillehammer on the first day of the Norwegian Festival of Literature. The Crown Princess gave the opening speech, visited several of the festival tents and held her own author interview session. In literature, we often encounter characters who fall outside the mainstream in one way or another, and in 2016 the theme of the literary train tour was “being an outsider”. Everyone feels left out of the group now and then. It is a universal experience – and literature helps to show that others are in the same situation. 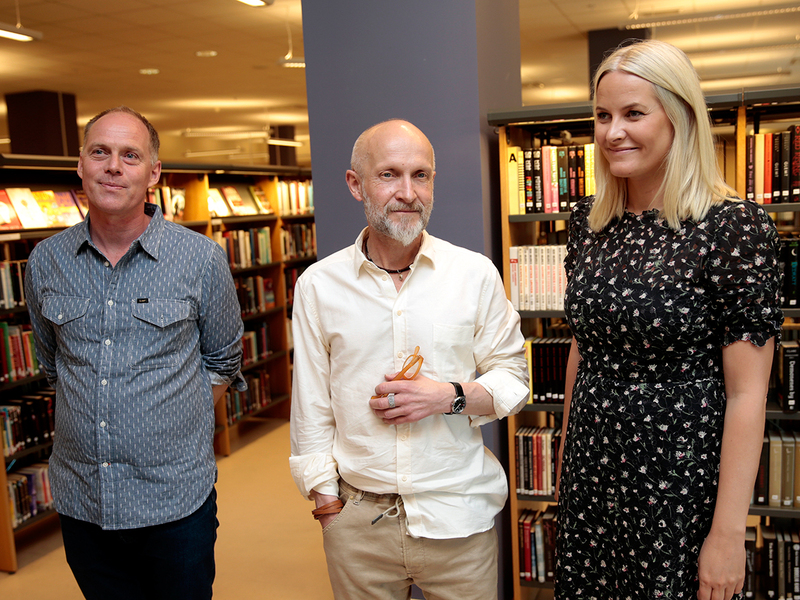 The Crown Princess was accompanied on the tour by authors who have written works related to being an outsider. Those who read are never alone. There is a book for everyone. This year the tour included several actors from Det Norske Teatret theatre ensemble, who brought the authors’ works to the stage. During the literary train tour, many people use the hashtag #Minbok to share tips about books and their love of reading in social media. An overview of the book recommendations is available in the list of links. The Crown Princess placed "The History of Bees" in the new park library. Photo: Lise Åserud, NTB scanpix. 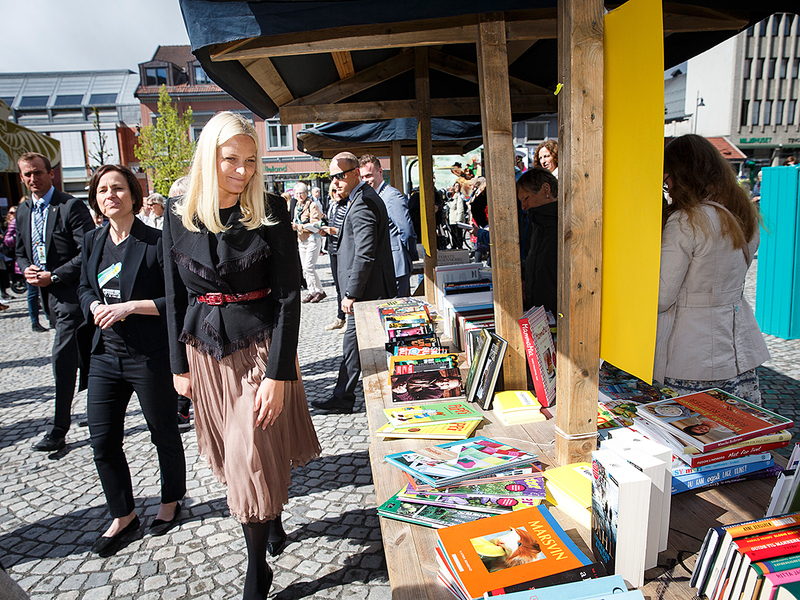 The Crown Princess visits the summer library in the Palace Park. Photo: Ole Kaland. 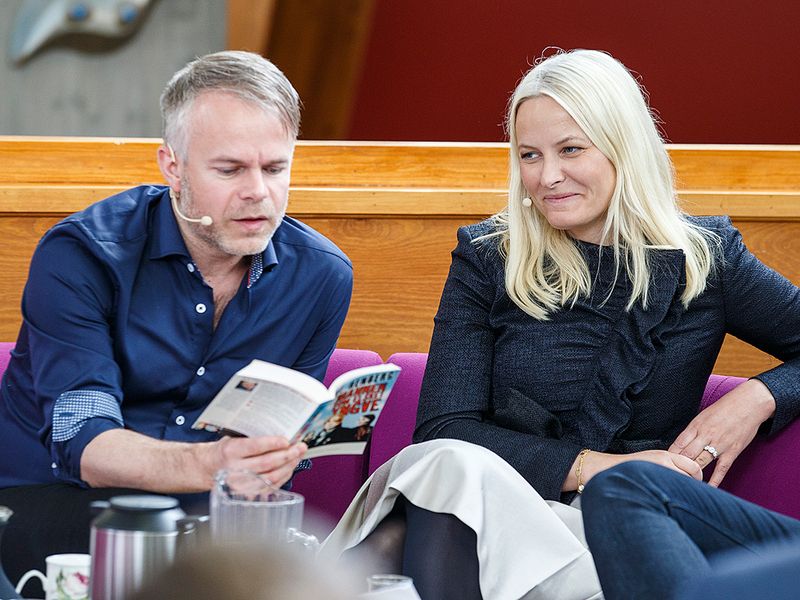 Crown Princess Mette-Marit and Author Lars Joachim Grimstad reading with 40 children at Oscarshall summer palace. Photo: Heiko Junge, NTB scanpix.